sesshomaru. . HD Wallpaper and background images in the Inuyasha club tagged: inuyasha. I love Sesshomaru... I'll say it again I LOVE SESSHOMARU!!! 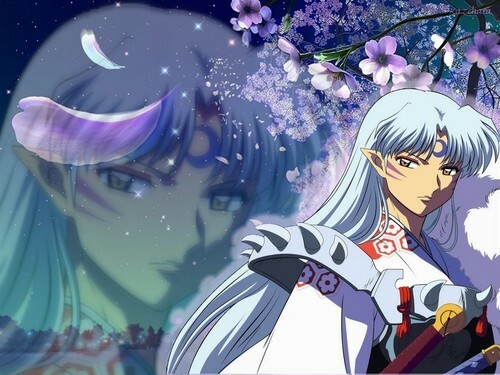 I love sesshomaru he is so hot!! I really do like this picture but it's backwards. The cresent on Sesshomaru's head is turned the wrong way. Other than that, like I said I really do love this picture! Oh my god he's fking hawwwwwwwwwwwwttttttttttttttt!!! !